At Taron Bookkeeping and Consulting of Windsor we offer bookkeeping services that make the accounting process as simple as possible. Our bookkeeping solutions will help you get your financial files under control so that you can maintain order. We work with Sage 50, QuickBooks, QuickBooks Online, Business Vision, AccPac, and more to assist businesses of all sizes in the Windsor, London, and Michigan region. We can help you choose software that is best suited for your business, set it up for you, and instruct you on how to use it. If it will be of assistance we can customize a bookkeeping solution around your needs. The bookkeeping services of Taron Bookkeeping and Consulting will help you get your financial files under control so that you can maintain order. Every transaction needs to be properly recorded, categorized and balanced within your accounting system. Simply filing receipts and recording transactions isn’t enough. Bookkeeping is a detailed recording process of all financial activities so that you will have an accurate accounting of your overall financial position. Bookkeeping systems must include the internal controls necessary to prevent costly errors. Calculating things like compound interest and tax rates are a sample of the many things that cause confusion, unnecessary expenses and financial losses. On-site and Remote – We can provide both on site and remote bookkeeping services at a rate that you can afford and feel comfortable with. 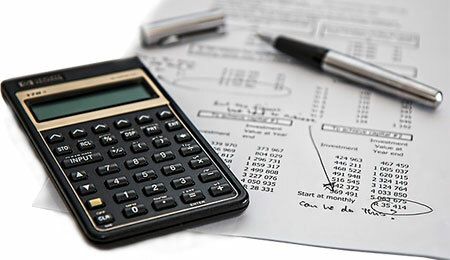 Need help with the bookkeeping services of your business? Start with an initial Business Consultation meeting to learn how we can help. Call us at (519) 977-4459 or send us a short message. Service Area – We have clients throughout the Windsor, London, Ontario and Michigan regions. This includes Chatham, Sarnia, Leamington, and various other Southwestern Ontario municipalities. Tax deductions are important to the financial well-being of small and home-based businesses. Make sure you’re receiving the tax deductions you’re entitled to. Here are some of the savings you might be missing out on. If you’re starting a new business, hiring an accountant to help get you started could make the difference between thriving success and becoming another statistic of that dreaded first year. Achieve and maintain financial order. We provide both business and personal financial services. We can help you manage payroll, taxes, customer accounts and much more. We are also business consultants, helping you build the bridge to our success.